This month’s Birchbox is all about getting back to nature and products with natural ingredients. 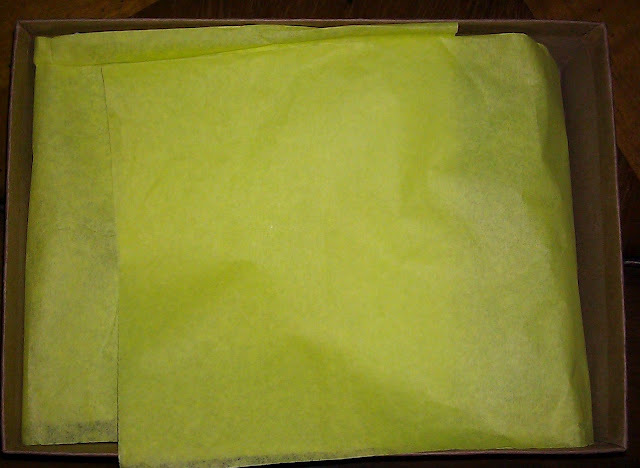 Even the traditional pink wrapping paper is green this month. As Birchbox grows they are getting better and better, this months box is one of the best yet! If you are not yet familiar with Birchbox, it’s a monthly beauty subscription service that is just $10 a month and you can cancel at anytime with no penalty. Based on a beauty profile that you fill out upon subscription, you will receive 4-5 deluxe beauty products a month. Sign up yourself or get more info at Birchbox.com. Banta Berry-G-1 Exfoliating Facial Cleanser- This is a luxe Parisian exfoliator, it has finely ground apricot seeds in it to slough off dead skin. I love this product! I’m sad that the tube is so tiny. Kahina Giving Beauty Facial Lotion-This hydrating cream has organic shea butter in it and is inspired by Moroccan beauty rituals. Kahina Giving Beauty Argan Oil- So I didn’t actually get this product. My card explaining my goodies lists this Argan oil as one of the things in my box. 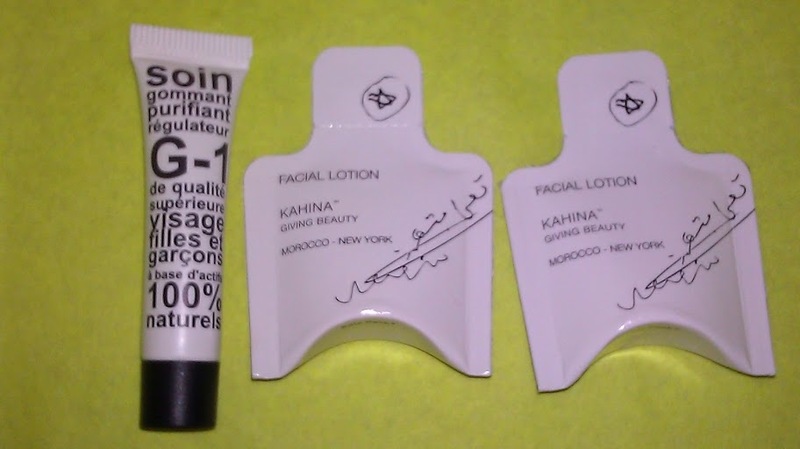 I’m suppose to have a small sample of 100% Morrocan oil that I can mix with the facial lotion to create a mega-hydrator. Unfortunately, I received two facial lotions instead. Purminerals 4-in-1 Tinted Moisturizer- If you read my reviews, you know that I’m obsessed with Purminerals and already gave this product raving reviews. This product is a moisturizer, primer, foundation, and SPF all in one while infusing skin with moisturizing botanicals. I love that you can purchase this brand on Birchbox now. I’m a huge Purminerals supporter and recommend everyone try it. 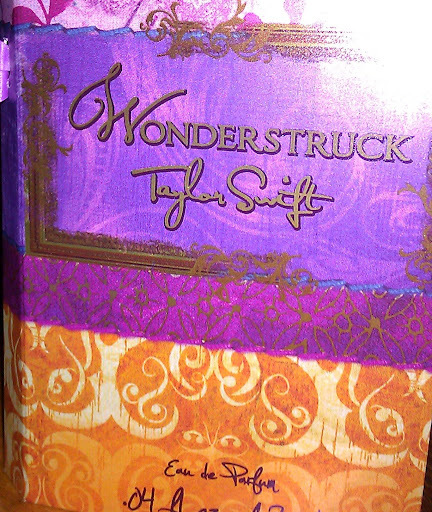 Taylor Swift Wonderstruck Perfume-I would not have tried this on my own but it smells very pretty. The notes in it are freesia, green tea, apple blossom, raspberry, and dewberry. It’s pretty and feminine just like Taylor Swift. Yes to Blueberries Facial Towelettes-These wipes are perfect for travel and I love the vibrant packaging. they smell like berries, lemon, and apples and leave skin feeling fresh. They don’t remove mascara very well but everything else came right off. Birchbox keeps getting better and better, I can’t wait to see what they’ll come up with next. I hope you liked my review, comments are always welcome! i have the exact same products in my birchbox! i love the tinted moisturizer, but not a fan of the cleansing towelettes – maybe that’s just me? I agree about the Taylor Swift Perfume, I wouldn’t have bought it on my own but I like to keep the little vials in purse for on the go. Nothing beats the Olay Towlettes, they are amazeballs! I'm originally from University Place, Washington but I have lived in sweltering Las Vegas for almost ten years. I have a degree in journalism and I dream of one day writing for my favorite magazine of all time, Marie Claire (I'm coming Nina Garcia). Until then I have an amazing job as a copy writer and I love all things fashion, beauty and entertainment related.